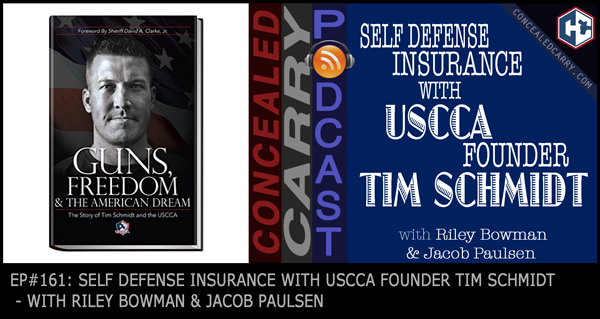 We recently recorded this interview together with USCCA Founder Tim Schmidt. He tells us about the new update to the USCCA's Self Defense Shield Insurance program. If you're a USCCA member, you're not going to want to miss this! If you aren't already a member, there's still loads of great info in today's episode. Tim tells us about one amazing self-defense story, he gives us his own personal EDC choices and strategies, and some tips about getting started as a CCWer. Get it directly from the “father” of modern concealed carry by listening today! Jacob and Riley also give their thoughts about the Las Vegas Mandalay Bay Shooting that just occurred. Press ‘PLAY' above to listen now!